We have tons of Lego projects going on at the house. Nothing worse than having to dig through the Lego bin to look for the perfect minifigure. So to avoid this hassle (and to make some cool wall art), we took on a simple build with a picture frame, Lego blocks, and our trusty RYOBI 18V Glue Gun. 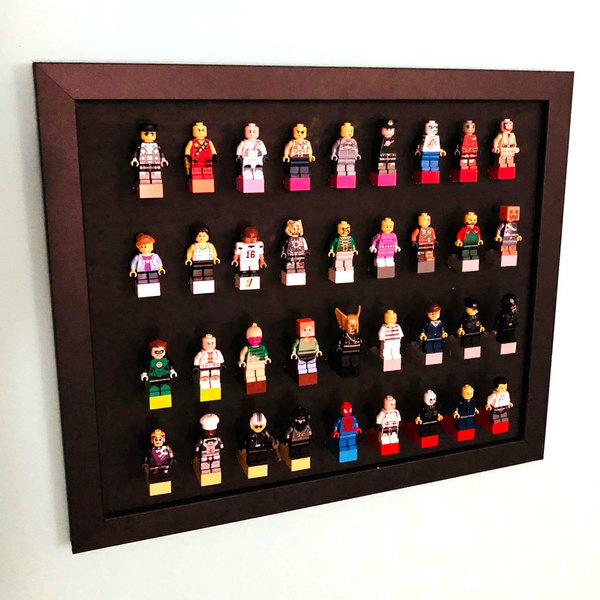 What a cool piece of art, Dave! Did you guys come up with this yourself or were you inspired by anyone? We agree with you! That way you can customize them to your preferred size, too! Thanks JBowman! Funny you should mention that. 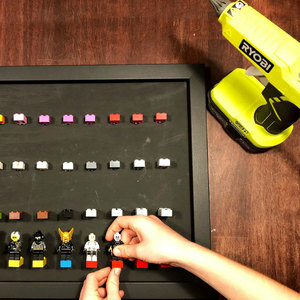 Once we were done scavenging a pile of blocks with 4 to 6 connectors (so the minifigures would have room to stand), my son was very specific about the block color/size for each row and each guy. 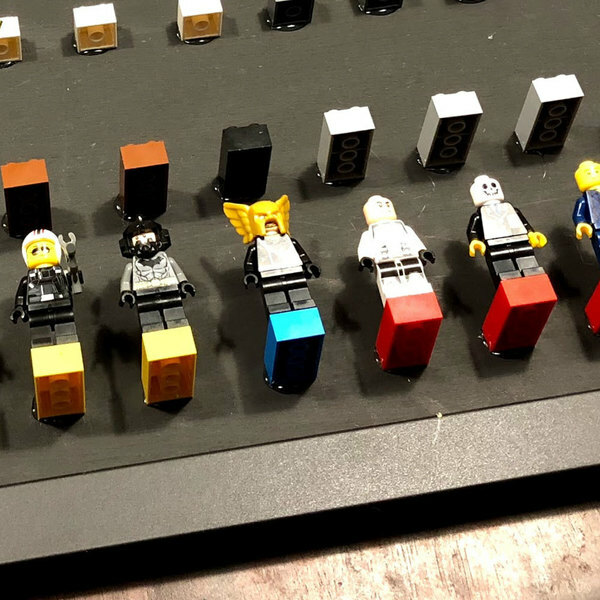 Not sure if it was category based, but he certainly made sure the rows and minifigures looked good on display and were ready for action! Thanks @grover959! I really dig your projects too. A collectibles shelf (https://www.ryobitools.com/nation/projects/collectibles-self_10953) is 100% on my list of future projects with my son! Happy May the 4th!! Thanks @_Stephanie_! We're having so much fun with the RYOBI Glue Gun!